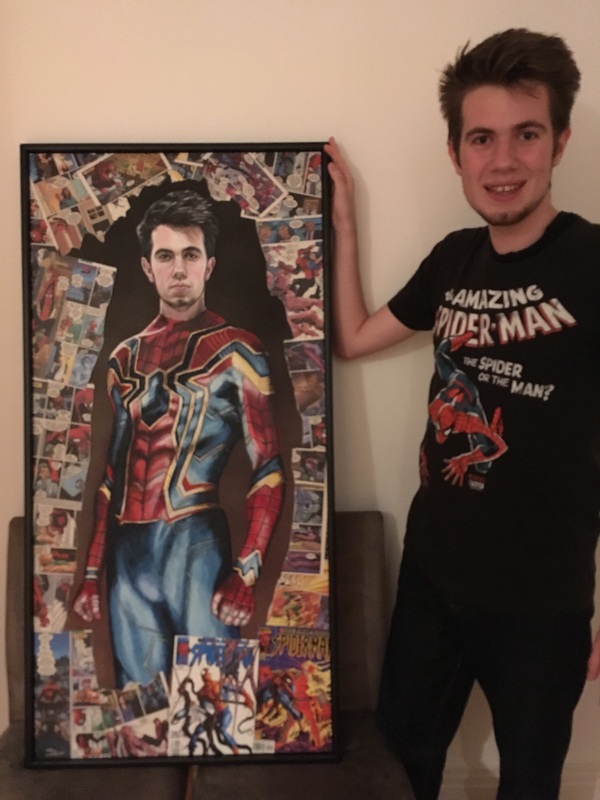 I was commissioned to paint a clients’ son for his 18th birthday. 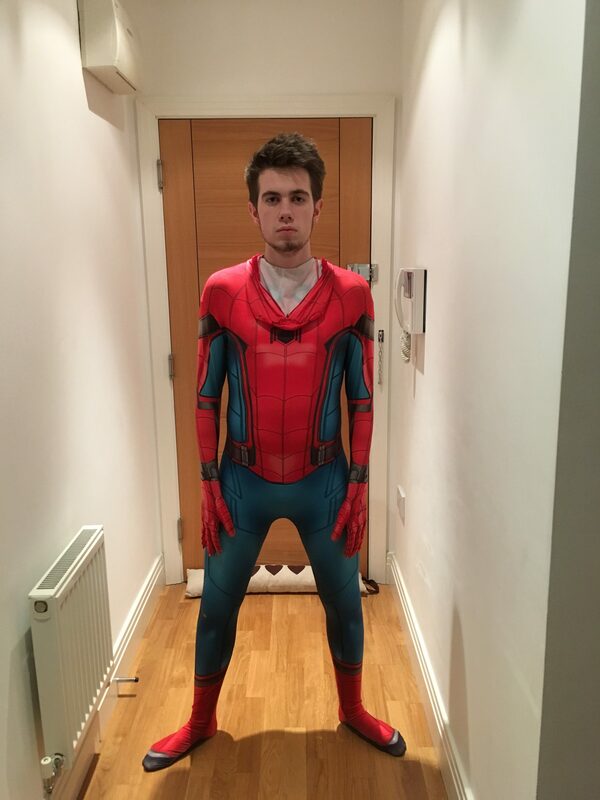 He is a massive Spiderman fan. 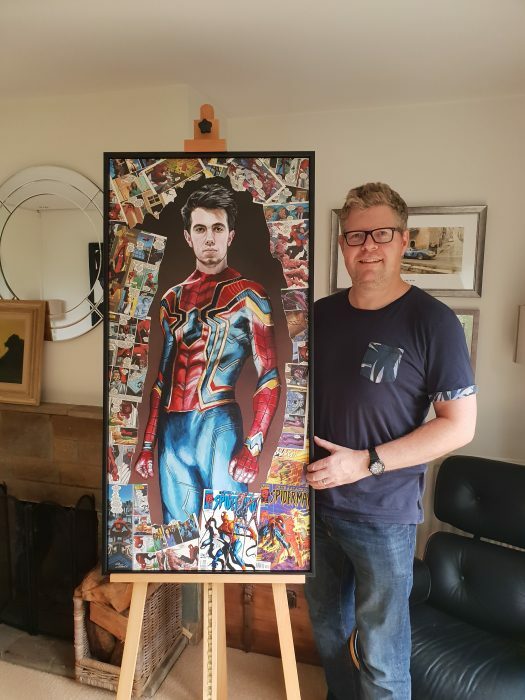 His Mum wanted me to paint him in the outfit from his Spiderman favourite… the Iron suit from the Avengers Infinity War film. 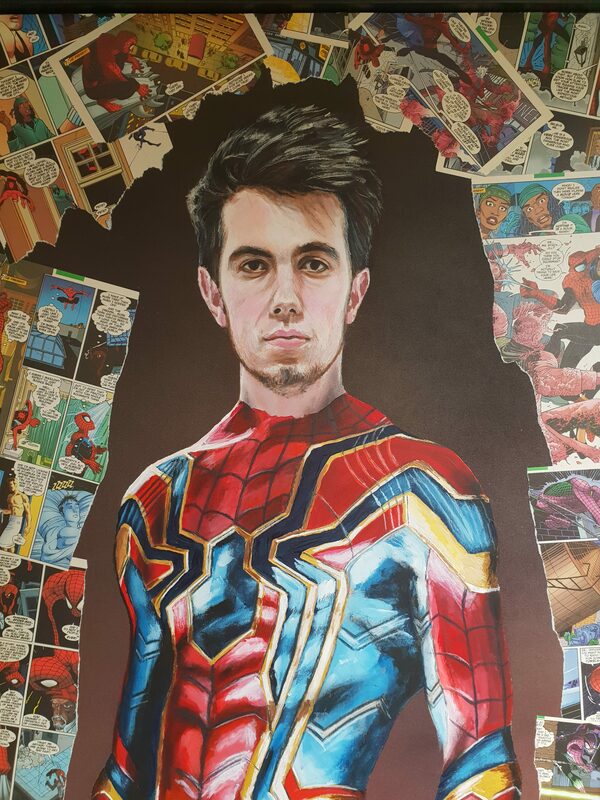 My client had managed to take a photo of him when he was going to a party dressed as Spiderman so this gave me a good reference to work with for his facial features. 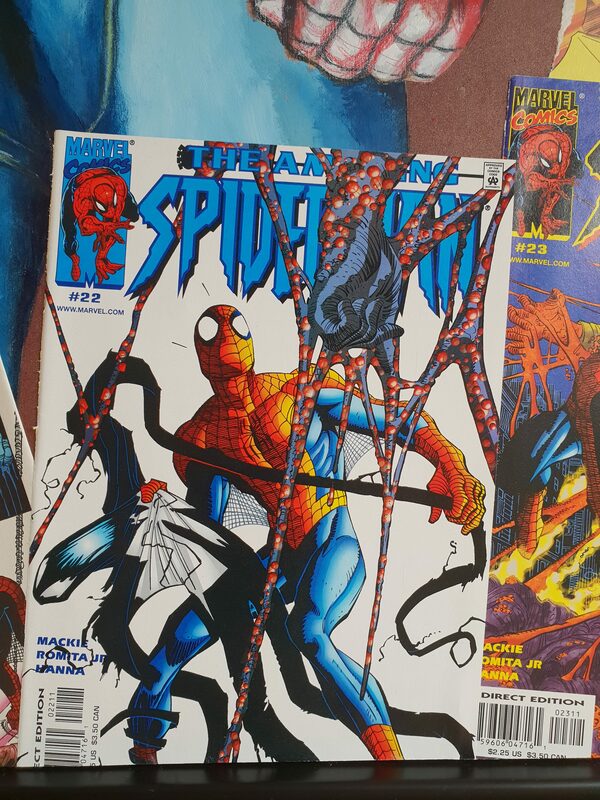 I wanted to create a very personal painting for him so I sourced the actual Spiderman comics from October 2000 for the week he was born. I used these in the background of the portrait and also included a pristine copy on the back of the frame so he can impress his friends! I painted him in a statuesque pose befitting of a superhero. The client and her son were DELIGHTED with the way the commission turned out! This portrait felt like a modern day version of an old master painting a portrait for a family member! Back then they would want to look regal, successful etc…. 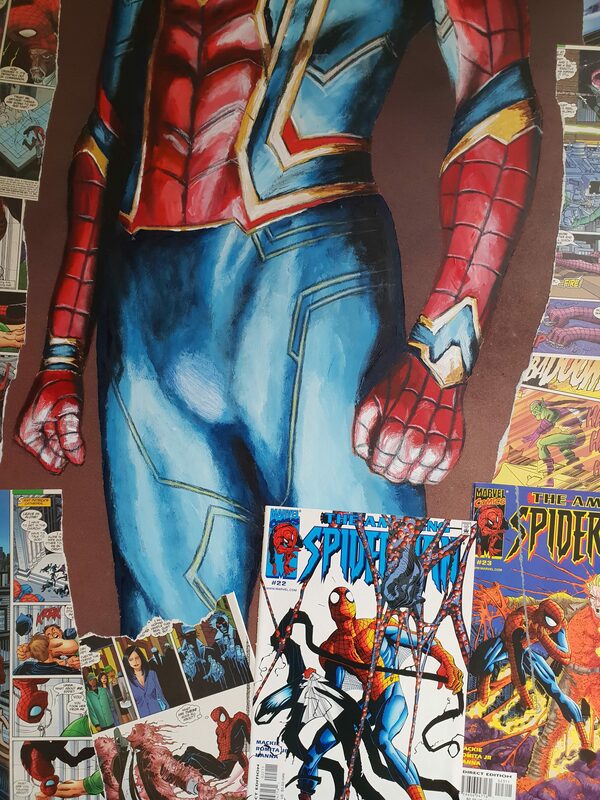 Spiderman is a very fitting modern take on this!